Quuppa, a company that delivers the world’s most advanced indoor positioning technology, today announced that Nesa Solutions has launched INSIGHT Location Intelligence at HiMSS18. Quuppa provides an open, low-cost and scalable platform for solutions for partners that demand the most accurate, real-time positioning. INSIGHT Location Intelligence is a robust, end-to-end software solution that helps healthcare systems and other enterprises effectively manage staff, patients and assets in their environment. INSIGHT utilizes Quuppa’s advanced positioning technology to locate people and assets down to a few centimeters and uses that data to create a wealth of business rules surrounding their movement. 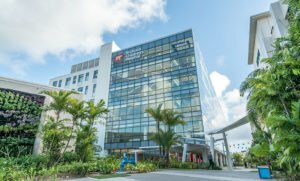 The first announced deployment of the INSIGHT solution is with Nicklaus Children’s Health System in Miami, a 2.5 million-square-foot facility that demonstrates both the enterprise-grade quality that Nesa Solutions brings to healthcare and other industries, as well as the scalability of the Quuppa platform. Quuppa brings the accuracy, reliability and real-time nature of location tracking to an entire new level. Quuppa provides the industry’s most accurate and reliable “dot on the map,” allowing partners like Nesa Solutions to develop advanced technology solutions for healthcare organizations that deliver true business value. One example of INSIGHT in action involves hospital hygiene, a highly regulated area of day-to-day hospital operations. Using the INSIGHT system with Quuppa’s location information as a key component, hospitals can establish a business rule to track the path of doctors and nurses to ensure compliance based on their path and stopping point at the sink or sanitizer dispenser. Among dozens of other use cases is tracking of mobile equipment such as crash carts, wheelchairs, IV stands and other valuable assets. For more information about how Quuppa is enabling cutting-edge solutions for the healthcare industry, visit us online at www.quuppa.com or see Nesa Solutions’ INSIGHT system with embedded Quuppa location technology in the Nicklaus Children’s Health System booth (#2273) at the HiMSS 2018 show March 5-9 in Las Vegas. Nesa Solutions, Inc. is a leading software services provider which leverages location intelligence to provide a fully integrated suite of workflow automation and information management solutions. Our flagship product, INSIGHT Location Intelligence, dramatically reduces the complexity, inflexibility, time and expense associated with traditional business workflows and processes, as well as exposes and reveals a depth and breadth of location-driven business intelligence that makes it essential for businesses in all industries. We aim to make our products as pervasive in the workplace as are the devices that can power them. For more information, visit us online at www.nesa-solutions.com.